At 24 years old, Mike Lewis had it made: after graduating from Dartmouth, he had landed a job at Bain Ventures in Boston, the prestigious VC arm of private equity firm Bain Capital. On paper, Mike was doing great, but he quickly discovered that his true passions lied elsewhere. As he pondered whether or not to pursue his dream of becoming a professional squash player, he sought out others who had their own "jump" stories and before long, Mike's courage and thoughtful perspective sparked a movement. 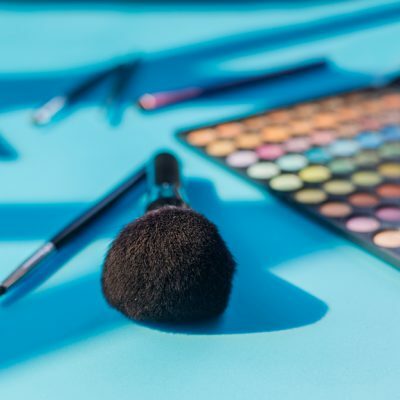 Mike's commitment to helping others navigate the path towards greater personal fulfillment had even the likes of Ariana Huffington a-buzz with enthusiasm. 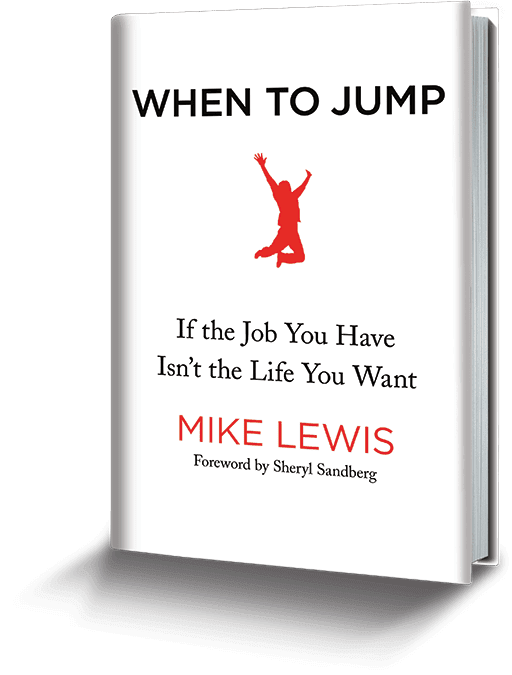 His recently released book, When to Jump, is hot off the press and full of real-life stories and practical frameworks to help readers chase their passion (plus, a foreword by Sheryl Sandberg!). As our Millennial Maker, we talk to Mike about the moment that changed everything, what readers can expect to take away from the book, and his advice for people considering a "jump", no matter how big or small. Congratulations on the recent launch of your book! How was the book inspired by your personal experience and what was the a-ha moment that led you to put pen to paper? When to Jump started out as a question - one I asked myself from a cubicle late night. I had just googled “when do you chase your dreams?” The results were not what I had hoped for – either mushy but superficial quotes of motivation, or super prescriptive, overbearing self help. When I looked at “chasing our dreams” on social media, it didn’t seem realistic or helpful either: filtered photos of living in Bali, eye-catching LinkedIn posts about starting that unicorn company, etc. There was a magazine on my desk, and in it, a woman was interviewed about her career as an Olympic cyclist. The end of the interview mentioned she had previously worked on Wall Street, and I was able to cold call her that night. When she picked up, she told me not about how to be an elite athlete or make the Olympics, but rather the honest, vulnerable, and nitty gritty, what I call “10,000 unsexy steps” look like behind chasing your dream. THIS was what I wanted to hear. I kept asking “how’d you know when to jump?” and when we hung up, I sketched a cover page to a book, but something that I hoped would be a global community someday – a space to encourage people to come together, share good food and drinks, and trade stories on the realities of when to chase your dreams. That was 5 years ago, and that’s how it started. I had googled “when do you chase your dreams?” The results were not what I had hoped for – either superficial quotes of motivation or overbearing self help. [I wanted] a space for people to come together and trade stories on the realities of when to chase your dreams. When considering a life-changing career pivot, what are some of the key risk factors to take into account? The big one to me is (no surprise) based around when you’re doing the pivot. If you’ve got student debt to pay off, or just bought a house or had your third child, it’s likely that you have many additional factors to carefully think through before you make a life changing pivot of any type. BUT that doesn’t mean you can’t start planning. I organize my book through what I call the Jump Curve – the four phases that you’ll pass through when you make a jump. And it’s here where you can take out some of the risk of making the jump, at any time in the planning process. Who is this book meant for, and why do you believe its so valuable? The book is meant for anyone who is considering a jump of any type. I think that anyone who wants to make a change in their life is going to value the book, because it offers real, practical guidance through 44 real, practical people. 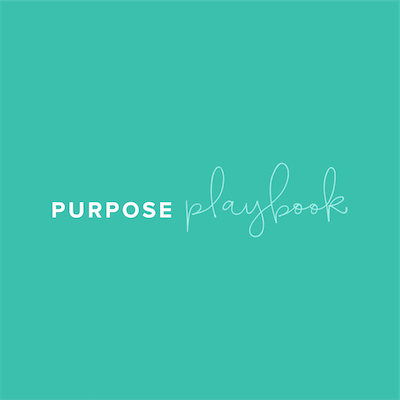 From first-generation immigrants to single parents, millennials to baby boomers, we cover every type of jump and then pull it together through a straightforward set of frameworks and insights. Jumps can be big and life- and career-changing, like switching up industries or moving to a new country. But they can also be small: applying for a new promotion at work, learning a language on the weekends, volunteering at night. This book is for anyone looking at any type of jump. Jumps can be big and life-changing, like switching up industries or moving to a new country. But they can also be small: applying for a new promotion at work, learning a language on the weekends, volunteering at night. What was the most surprising or unexpected lesson you learned while writing this book? I spent the better part of five years researching stories that flood our community at whentojump.com, are shared across our social channels, @whentojump on Facebook and Instagram and Twitter, and come out regularly on our community newsletter. Across all of these places, through the hundreds if not thousands of stories I came across as I whittled down the 44 stories that came into this book, not one person who followed the framework I put forth in the book regretted their decision to jump. Community is core to the When to Jump movement. How have you successfully grown this global community, both at a local grassroots level as well as online? My idea from the night I sketched the cover page in January of 2013 was that this book would be a physical manifesto – a source of permission that people looking to make any jump could use as their own supportive sounding board. But what happened next was traditional word of mouth traction – stories were made and passed around, and first told on our blog, whentojump.com, and later in Jump Club meetups where folks jumping into food, business, music, and other industries would share their art or craft as well as their personal story. We wanted to use the community to celebrate the decision to jump, and today we still look very similar to how we started: we’ve reached millions of impressions through digital media, our in-person Jump Club festivals, monthly newsletter, and now the When to Jump podcast. We’re sharing our mission and championing the stories and ideas of those who have jumped through many different ways, and that’s how I hope our community will continue to evolve. On a personal note, you have traveled the world and met hundreds of people along the way. Do you have a pro-tip for maintaining strong relationships over time? Don’t ever network. I hate that word. Networking sounds like you need something transactional from someone. Just be nice. Stay curious. If you do those two things, you’ll meet awesome people and you’ll find your life is richer because of it. I wanted to try to couch surf for 1 month. It turned into 16 months of couch surfing with strangers, friends of friends, fellow bus passengers…those are now some of my closest friends. But it didn’t come from having expectations. It came from just being nice and staying curious. Just be nice. Stay curious. If you do those two things, you’ll meet awesome people and you’ll find your life is richer because of it. Daily ritual you never skip? Read about our co-founder's own jump, inspired by Mike's When to Jump movement.